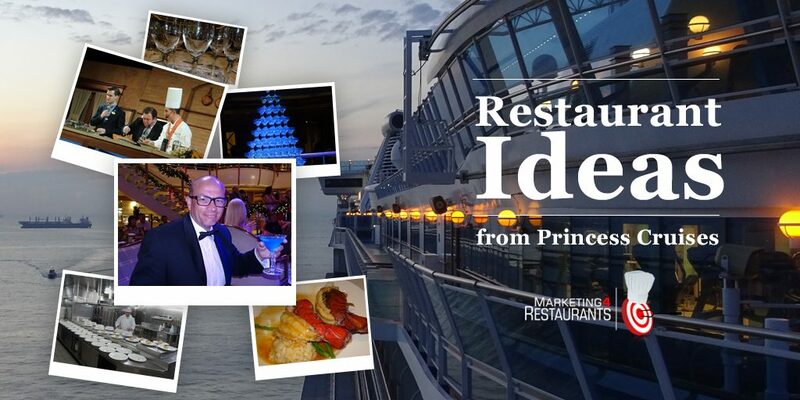 What if you ran your Restaurant like Princess Cruises? I spoke to a Restaurant owner and he said, Why think about cruises? We look at operational efficiencies and how looking outside the Restaurant industry can give you ideas about innovation for your Restaurant. We discuss Southwest Airlines and how they redefined industry’s best practice in turning around the aircraft. It is a great story about culture and innovation that you can use in your Restaurant. We look at our time on the Sapphire Princess. 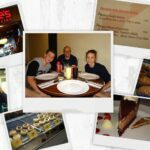 We look at the food with Princess Cruises. It is amazing, the quality of the food that is produced out of a floating kitchen. We talk about what it is that your customers buy from you. Often it is not the food, sometimes it is, but there are other products that customers are looking at. The chefs did a great job in the descriptions of the food. There were themed nights. These are things that can drive more customers on quiet nights. What if you swapped chefs with another chef to create unique events? We talk about the experiences created by the pool, watching the TV. We discuss beatboxing squirrels. Princess Cruises aim for a family demographic and do a lot of work around creating experiences for the entire family. How do they upsell with their alcohol? For a family, what is your mocktail play for the children? Wine tasting seminars, cocktail making seminars. 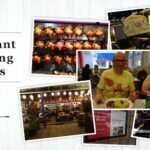 All of these are experiential events that add to the value of the cruise and are centered around food. The chef ran a cooking demonstration, followed by a behind the scenes of the kitchen. On board were 2670 guests and a crew of 1100. Three square meals a day. The costings and planning are done very well, because they can’t run down the road to the local market. The cruise industry understands revenue per available bed. They aim to fill every room that they can. Princess Cruises really understand the power of social. The staff were always very keen to take a photo of the passengers with their own camera, knowing that the photos would be shared on social media. How do they create great experiences around the food?